As the agitation on what zone would produce the next president of the Federal Republic of Nigeria continues among all the geo-political zones, Nigerians have been urged to give the South-South a chance to govern the country despite the fact that the zone is in minority. The Vice President of the West African Women Association, Madam Hawa Yakubu said in a recent interview with The Weekend Tide at the Port Harcourt International Airport, that the geo-political zones that have not tasted the position of presidency should be allowed to govern or produce the leadership of the country, in the forthcoming presidential election. Yakubu who, is the deputy National leader of the ruling party in Ghana (NPP), appealed to Nigerians to always abide by the constitution of the country to ensure peace in the polity. Madam Yakubu reminded Nigerians that the issue of agreement and gentleman agreement reached by political friends should not bind or override the constitution of the country. She said, when people are in politics, they can make promise to themselves and friends, and that does not mean it should bind the whole country. 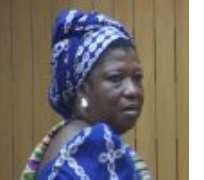 Mrs Yakubu who is also the Advisory Board member and president of Nawip, Ghana, urged Nigerians to go back and study the constitution and see the provision of the constitution as it affect zoning or sharing of the national power. She said that Nigeria has a very defined constitution and the little she has seen, the country is divided or zoned politically into six geo-political zones which the politicians should be considering. She said at this time, what is needed was to use the constitution of the country to take the measurement of leadership. In Ghana, she said, constitution takes care of matters and nothing like zoning at all. “President now, John Kufor comes from Ashanti region and if after now, we get a good candidate from Ashanti Region, we don't mind,” she said. Madam called on Nigerians to keep to the rules and allowed the zoning process go round the six geo-political zones; particularly those that have not produced should be given an opportunity. The Pan Africanist who said the South-South which is minority group in the country has been marginalised for long, noted that if they are allowed to handle the leadership of the nation, that will at least atone for all the sufferings they had undergone in the past. “I can understand that the South-South region is a zone and in minority. If you go back to history and claims by the people of the zone, they are making a point. She traced the past leaders of Nigeria, beginning from Ironsi, Azikiwe, Tafawa Balewa, Shehu Shagari, Ibrahim Babangida, Abubakar and now Chief Obasanjo, said, North, Middle Belt, South-East, South-West have all tasted, why shouldn't the minority be allowed to lead”, she asked. She, however, called on the South-South leaders to continue to work together because to her, they have good and credible leaders who can move Nigeria to a greater height. When a leader comes from the neglected zone of the South-South, job opportunity would be created and it will as well reduce the youth restiveness in the Niger Delta region. She, however, wished the people of South-South well in their quest for presidency. “If every zone can have it then Nigeria can stay united and be able to pull all their resources together and reduce conflicts. On women, participation in politics, Madam Yakubu said African women have gone too far and said she would remain grateful to Justice Mary Odili, the wife of Rivers State Governor who floated a pet project called “TAP project” focusing on women and ensuring that women all over are self-reliant. She commended their male counterparts, noting that the struggle for women emancipation and women empowerment were all about the understanding they received from the male. On the relationship between Nigeria and Ghana, the vice president of West African Women Association, (WAWA) said it is cordial and strong. According to her, you can see during the last World Cup fiesta, I was in London, and noticed that virtually all Nigerians in the streets of London were carrying Nigerian and Ghanaian flags and they were quite encouraged by the performance of Ghanaian team which was beaten by Brazilian team.